Apple to Launch Sub-$250 7-Inch iPad Mini This October? Apple are set to release a sub-$250 7-inch iPad Mini this October according to a new report from iMore. The company will be aggressively pricing the iPad Mini in an effort to force competitors, such as the Amazon Kindle Fire, Nook and various Android tablets – out of the market, according to the anonymous source. 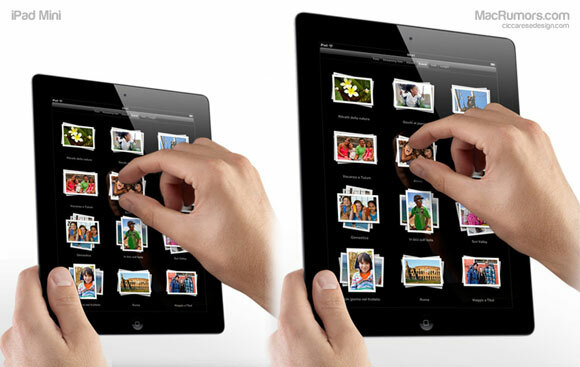 The 7-inch iPad is said to be identical to the standard 9.7-inch iPad in terms of design, only smaller. The screen resolution will allegedly still be 2048 x 1536 (the same as the iPad 3) despite being a smaller device. This would give the iPad Mini a pixel density equivalent to the iPhone 4S retina display. While the standard full-sized iPad 3 will set you back $500, to allow the iPad Mini to come in at about half this price Apple are reportedly cutting storage size down to 8GB. Rumors of a cheaper, downsized iPad have been circulating with increasing frequency for months, and this latest rumor comes on the back of a report out of Taiwan that a 7-inch iPad was due to be launched this August.